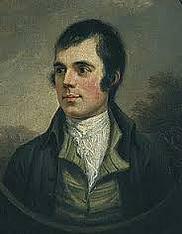 January 25th 2018 will mark the 259th birthday of the immortal Robert Burns, and such is his legacy that we can’t help but ponder what he would make of the state of the world today. It was certainly the case during the Scottish Independence campaign in 2014 that campaigners on either side were selective in their quoting of Burns to claim he would have voted for their cause. Songs such as ‘Scots Wha Hae’ were presented as confirmation of his Scottish credentials while ‘Does Haughty Gaul Invasion Threat’ was considered proof of his British credentials. Indeed there is much in the works of Burns for both the Scottish and British patriot. He didn’t see anything contradictory in that. Also for the internationalist there were songs like, ‘A Man’s A Man For A’ That’. For the EU Referendum of 2016 I don’t recall much reference to Burns, but that’s probably because Britain was not affiliated with such a European political body during his lifetime. If France had followed through with their threat to invade Britain in the 1790’s there may well have been: but they didn’t. There is indeed something for almost everybody in the extensive works of the busy bard. He was sympathetic to the ideals of the American and French Revolutions and yet joined the Dumfries Volunteers to help defend Britain from the threat of French invasion following the French Revolution. He reworked and published many Jacobite songs for the Scots Musical Museum and yet he took quite the swipe at the Jacobite cause in his song,‘Ye Jacobites By Name’. His songs which advocated equal opportunity for the common folk were interpreted by some as being socialist. Others however read his notions of equal opportunity, coupled with notions of liberty, as being in support of free enterprise. Some superficial observers have interpreted apparent contrary views as demonstrating a weak and confused moral compass: that he was a mere opportunist. On the contrary a close examination of his works and the comments of his contemporaries will suggest a man of conscience and high principles. The status of his principles however is still being challenged by some. Recently his present day virtue-signalling detractors have tried to compare him to the super celebrity abuser of power, Harvey Weinstein. This is beyond ludicrous. Burns did have a wee weakness in that he was addicted to women and too easily fell in love, as they did with him. And while he did father nine children with his devoted wife, Jean, he did father a few other children outside of wedlock. What was different about Burns was that he did provide financial and moral support for all of his children and their mothers. This is what is known as having a conscience. When I was a child growing up in County Antrim I often heard his love songs being sung and verses of his poems recited. Later, in my mid-teens, I became intrigued and started to examine what Burns was actually all about. At the same time I was enjoying the works of early Bob Dylan. I was equally intrigued with Dylan and later with other rocky singers of the late 60’s and early 70’s. It was a revolutionary time that was enthusiastically embraced by the poets, songwriters and musicians of the period. Like Burns, two centuries earlier, they were challenging the establishment and status quo. Rabbie Burns would no doubt would have fitted right in with his fellow creative thinkers in the latter part of the 20th Century, but I personally think he would relished even more the challenges of the early 21st Century. In his time he did not blindly follow any political or religious ideology, nor was he a slave to any cult. He was a free thinker, a man of independent mind. He had his strongly-held political and religious beliefs and principles and yet he was consistently tolerant of, and respectful of, the differing opinions and beliefs of others. Sadly this is a concept that many today just cannot get their heads around. So many in society today have been systematically educated to follow a leader of a tribe and to loath those who don’t follow the same. Today it is easy to project a 21st Century Burns as a relentless advocator for freedom of speech, thought and expression. I can clearly see him as an active proponent for a democracy that is able to hold government to account. At the same time I can’t imagine him being committed to any political party or carrying the label of the so-called Left, the so-called Right and most certainly not the so-called Middle. In the late 18th Century the young farmer, exciseman, and part-time soldier struggled to get proper recognition for his poetic genius. Similarly today a young farmer, public sector worker or soldier; not officially trained by the appropriate university department, would also struggle for recognition in the ‘Creative Industries’. Unlike the exciting individualistic creativity of the 1960’s: today’s creative expression is seemingly influenced, financed, manipulated and managed from the top down to preserve the status quo. Where would Burns fit into this world? Well he would still have lots of mouths to feed and would still probably have to pursue other employment to feed all those mouths. I suspect though, surrounded by such a plethora of new-age ‘Holy Wullies’ and ‘unco guid and rigidly righteous’ celebrity superstars he would still be in his element as a genius poet and songwriter. On January 25th some of us will once again slowly savour a wee dram of Scotch malt in memory of the bard. As we do so, let’s hope some young genius, in the spirit of Burns, has already been reincarnated down in the literary trenches and will pop his, or her, head up above the poet’s parapet sometime very soon.The 21st Century needs a Rabbie Burns.